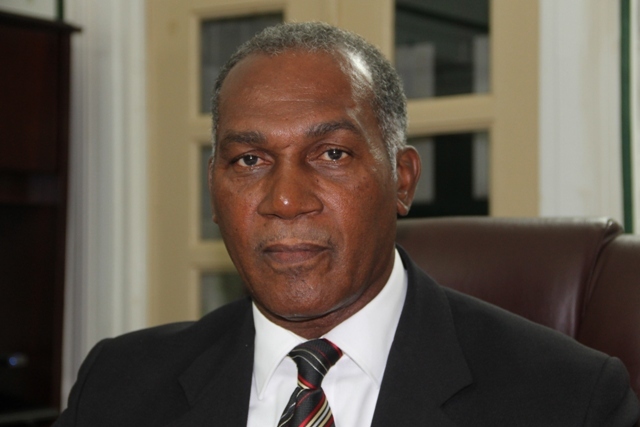 NIA CHARLESTOWN NEVIS (APRIL 18, 2016) — The following is a statement by Premier of Nevis Hon. Vance Amory dated April 18, 2016. It is with much sadness that I send this message to the people of the Federation, in general, and to the people of Nevis, in particular, after the spate of violence over the weekend which resulted in one young man being killed and another left nursing injuries as a result of two criminal incidents. This call is for all of our citizens to take a serious look at ourselves as a people and take a stance against such senseless acts of violence which not only destroy the lives of those who are victims but also the lives of the perpetrators of the crime and the families and friends and associates on all sides. These senseless acts of violence also create tension and fear in the whole community. Even though it appears that the violence is targeted at those who may be involved in what may be petty personal disagreements. It is cause for great concern that the perpetrators of the violence and crime continue to resort to the use of guns to settle their arguments. I can only appeal to all who are contemplating such senseless acts of crime and violence to seek to resolve and settle their differences by talking among themselves and not allow the desire for revenge to drive them to use guns and other weapons to destroy each other. I can only appeal to the parents of anyone who is suspected of being involved in any gang or who may appear to be involved in committing any act of violence to talk seriously with their children, both boys and girls, and get them to move away from a life of crime and destruction. If parents or any persons in the community have information that their children or any other persons in the community may be involved in committing a crime or may have weapons, I can only ask you to do the right thing and report them to the police or get a responsible trusted person to assist to get this dealt with as quietly and effectively possible. We need to restore our country to a place in which we can all live in peace and safety. Put away all petty and serious personal grudges and disagreements. Seek peaceful and amicable ways to resolve disagreements. The police will be advised to take actions to assist in this resolution of crime and I want to thank the police for already having some persons for questioning in these senseless acts of violence. Our country cannot take any more of this crime and violence. Let us stop it now. It is the responsibility of all of us and I appeal to everyone to join in this crusade to restore our country as a place where peace abounds.